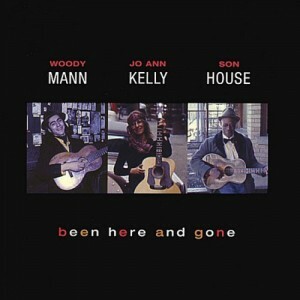 On separate occasions, when Woody Mann was just a teenager, he recorded a series of duets with Son House and JoAnn Kelly. 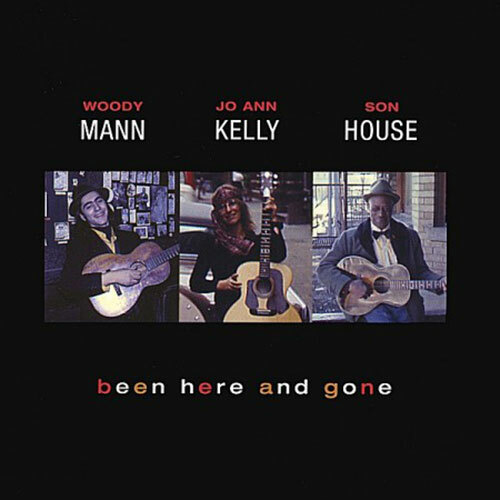 These recordings have recently been remixed and released for the first time on “Been Here and Gone.” Mann’s distinctive guitar style is already evident and serves as a powerful accompaniment to the classic blues vocals of the legendary Son House, and British great Jo Ann Kelly in an intimate exchange between one guitarist and one vocalist. On the tracks with House, the veteran Mississippi bluesman sings with the intensity of his 1920’s recordings that recalls memories of long ago. The songs with Jo Ann Kelly might be thought of as “blues expansions.” The duo used traditional material as a springboard for their own improvising and original songs – and Kelly sings with the depth and creativity that has become the hallmark of her career. Throughout the album are seven short instrumentals recently written or arranged by Mann specifically for this CD. These impressionistic pieces interweave throughout the vocal tracks to create an overall unity of blues-based textures and moods. These, along with the earlier sessions, show Woody’s ability to capture the essence and nuances of acoustic blues guitar playing at it’s finest. “Been Here And Gone” is a historically important recording that showcases two of the greatest vocalists ever to sing the blues. Their timeless artistry and powerful musical presence is as fresh today as it was then.